My names are Herieth Sostenence, am 14 years old, pupil at Mugeza primary school in Bukoba district. It is a superstitious/witchcraft thing that happened to me on 3rd day after birth. My mother tried to take me to several hospitals without any success and doctors declared that I will not be able to see again. Nobody told me anything about my father and when I was 9 years old my mother who is a Rwandese went back to her home country and left me with my aunt. In 2009 my aunt took me to Mugeza Special School where I was enrolled in standard one. However at my aunt’s life was very difficult her husband could not accept me and he was treating me like a slave, he could take me to the farm and give me all kind of hard work that were unreasonable considering my age and my condition as blind. Due to all these maltreatments, my aunt decided to take me to the Tumaini Children Centre an orphanage under Lutheran Church which has been my guardian to date. 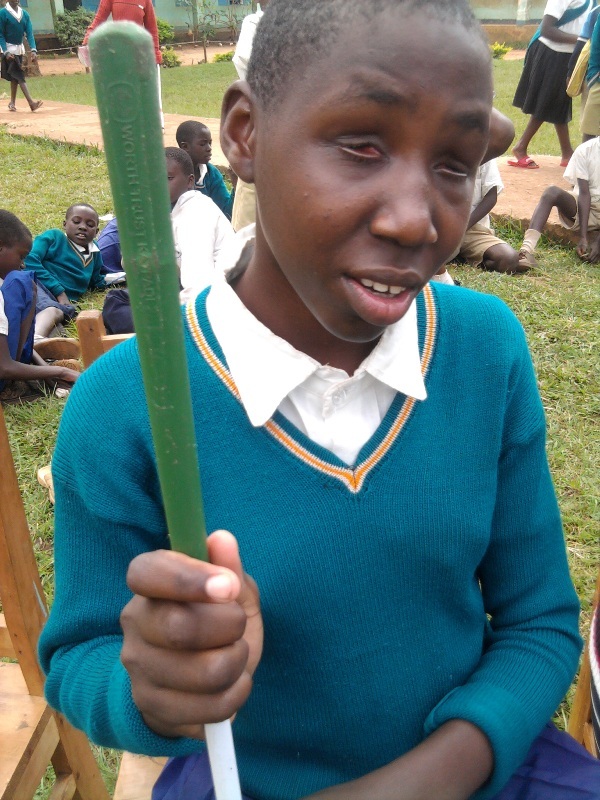 Despite being in school I still feel that life is not fair to me since I wish I could meet my mother and my brothers and sisters and I also feel bad because if not for blindness I could have been in secondary school by now. I call upon the community not to look down on us since we did not ask to be born this way.